I am not one to rush towards new technology. No one has ever accused me of being an early adopter. I may admire new technologies and innovations, I may think them clever and even useful, but it generally takes more than that to convince me to commit to them. I need an incentive. This is why I didn’t get an e-reader until I discovered I could read The Princess Priscilla’s Fortnight by Elizabeth von Arnim on it for free. And it is why I didn’t join NetGalley until this summer, when I realised that by doing so I might get to read The Honeymoon Hotel by Hester Browne months ahead of its release. Well, I joined and I got to read it and, happily, have read a handful of other NetGalley books since. Now, finally, I should probably get around to reviewing some of them. I am a huge fan of Browne’s novels. They are light and funny but have heroines who I can actually identify with. Unlike the bulk of ChickLit novels, Browne’s female characters know how to balance a chequebook, dress appropriately, and generally behave like adult human beings. Life is difficult enough as a single woman without being saddled with an infantile intellect or a crippling shoe fetish. Rosie, an events manager at the exclusive Bonneville Hotel in London, has all the hallmarks of a Browne-heroine: she is organized, well-mannered, and has a completely awful boyfriend. Working towards a promotion, the last thing she needs is the appearance of laid-back Joe, the son of the hotel’s owner, who after years of travel and general surfer dude behaviour has come back to learn the ropes of the family business. Despite being generally affable and helpful, not to mention unthreateningly charming, Rosie finds it exhausting to work with Joe, especially when he gets involved with the wedding planning portion of the hotel business, Rosie’s special domain. Something about this didn’t quite click for me. Browne is really good at writing about female characters and their struggles to sort out their lives. But her male characters are often poorly fleshed out and so the romances fall a bit flat, which is what happened here. That said, I still really enjoyed the book and liked it well enough that I bought my own copy when it was released earlier this fall. 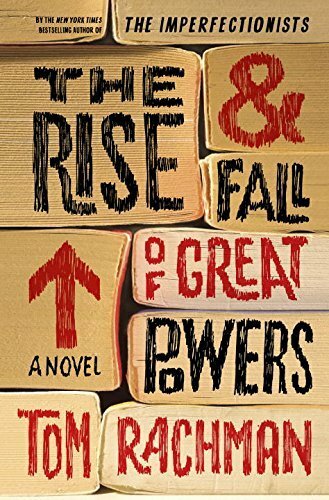 I loved Rachman’s first book, The Imperfectionists, and this was even better. When we meet her, Tooly Zylberberg is in her early thirties and running an unprofitable bookstore in Wales. Over the course of the novel, as it jumps around through her childhood and early adulthood, we learn about her unusual, globe-hopping childhood and the eccentric, rather shady, and essentially mysterious characters who raised and shaped her. Completely wonderful and highly recommended. 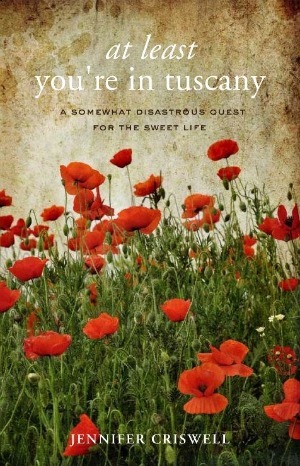 A funny, unvarnished and honest memoir about an American woman’s life after she moves to Tuscany. Single, struggling through Italian bureaucracy, and still with an uncertain grasp of the language, Criswell’s time in Italy is far from the sun-dappled idyll that so many other books chronicle. And that is what makes it worth reading. A nice reality check, reminding us that the Good Life takes some work. Talk about perfect timing. My request for this, the fourth entry in Higgins’ “Blue Heron” series, was approved the night before I flew to Europe. If there is anything nicer than having an eagerly anticipated book to read on a long plane ride it is being surprised with that book. And I couldn’t have wished for something better to pass the hours – at least a few of them. 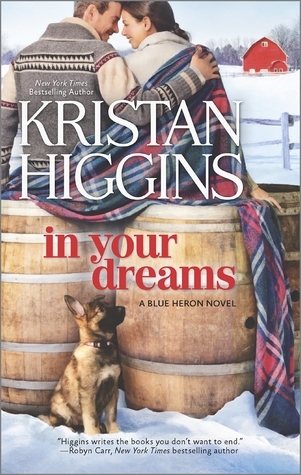 Sweet and funny, In Your Dreams is Higgins at her best, with a likeable heroine and a hero who actually gets to be a person in his own right. I would wither away without Netgalley! I read the Tuscany book and liked it very much. Showed the not so glamourous side of living and working overseas. I have The Imperfectionists, but haven’t got round to it yet! I missed the Tom Rachman when I was tooling around on NetGalley! I’m glad you found it so I can put it on my reading list. The thing that bugs me about NetGalley is that often the books are PDFs and I can’t read them on my tiny Kobo Mini. I don’t understand why they can’t indicate the format to help us out! Nevertheless, I’ve found some great titles (including the new Flavia de Luce which I just finished).